The Bridge Road crew are getting together a nice line in single Aussie hop IPAs, with the Summer following the hugely popular Galaxy and relative newcomer Stella off the rank - and with the unlikely Pride of Ringwood IPA to follow. 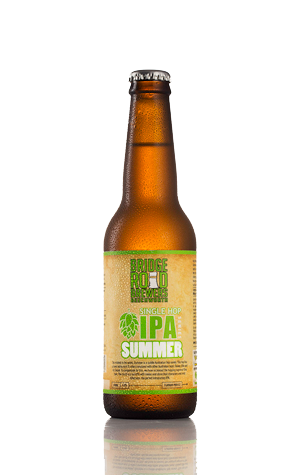 Summer is a hop variety formerly known as Summer Saaz and has been developed by Hop Products Australia. Those who've ploughed into the Galaxy and Stella IPAs will find this one much more subtle; don't expect to be blown away by pungent aromas, instead it's a gentler, floral aroma, slightly earthy. There's a pretty full body too and a bitterness that works its way gently, but persistently, across your palate.